The Egyptian combed cotton is considered to be the highest quality cotton worldwide. This unique quality is due to the length and the fineness of its fibres that extends well beyond the other varieties of cotton. The cotton quality is reinforced by the combing technique that straightens, refines and fortifies the threads. This variety of cotton is no longer only produced in Egypt, and is now governed by strict rules. The woven Egyptian cotton does not pill, it is smooth, soft and silky on the skin. Solid, refined and always fresh, this exclusive and prestigious material costs more than a basic cotton, and is very famous in the industry of Luxury Bed Linen. The term percale refers to a weave and not a material. The quality of the percale depends on the number of cotton threads that are perpendicularly woven. The higher the number and the tighter the threads, the stronger and softer the percale will be. 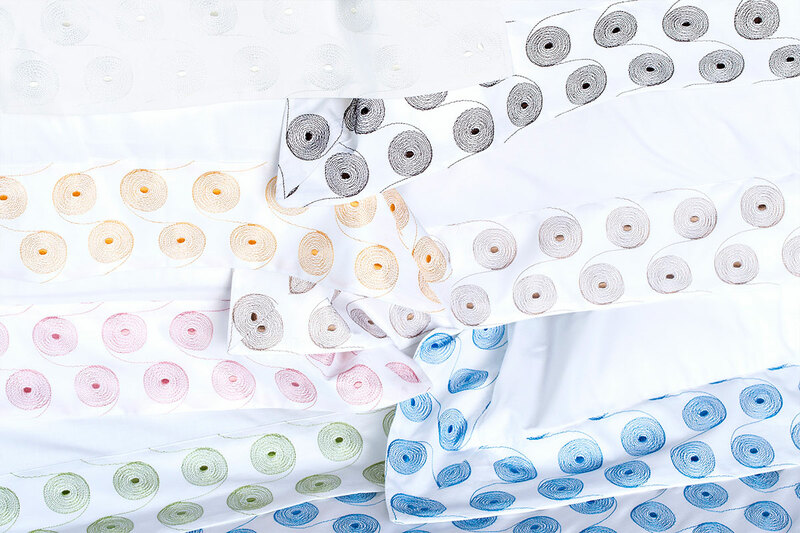 Beyond 250 threads count per square inch the percale can be considered as quality, and if to this the manufacturer adds a high range cotton as the Egyptian cotton, the final result will end up being unrivalled with its softness and quality. In Lisa’s Galimberti case Egyptian Cotton is a refined and luxurious material, ideal for making luxury linens. The term sateen also refers to a weaving that gives and smooth, sleek, delicate and shiny aspect on top and a matte aspect on the underside of the fabric. 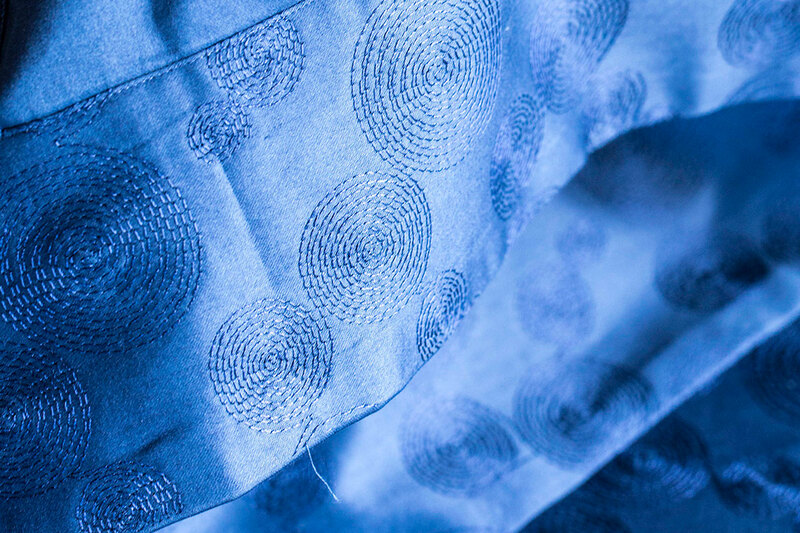 The thread count of a HIGH-END sateen starts at 250 threads count per square inch. For a LUXURY BED SET the thread count can go up to a 1000 per square inch ! It goes without saying that the choice of the fabric is paramount to the quality of the linen, and that is the reason why Lisa Galimberti selects her cotton with care. Each piece is cut by hand and assembled in our small Italian factory situated on the shore of Lake Como. We use a pure superior quality cotton woven with a minimum of 300 threads per square inch. Among our various luxury bed linen collections in long and extra-long staple, our softest and most luxurious bed sets combine combed cotton weaves with more than 600 threads counts.